Club Penguin Cheats by Mimo777 Club Penguin Cheats by Mimo777: NEW! 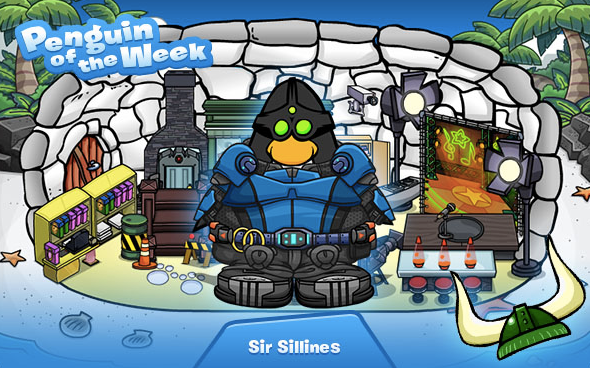 Penguin of the Week: Sir Sillines! Check out the FIRST EVER Penguin of the Week! Congratulations to our first POTW Sir Sillines (ace name btw!) He is one loyal EPF Agent, always preparing fellow agents for upcoming operations and briefing everyone on the latest EPF news. I've no doubt he's been a star puffle-rescuer this week! EPIC agent! Nominate your buddies for the Penguin of the week!